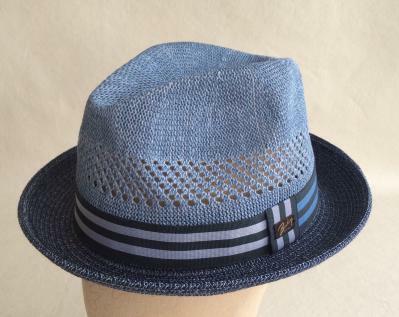 The Berle is every man's perfect summer hat. A bright dual colored stripe band trims this light and airy Toyo Crochet braid. Venting on crown keeps you cool on hottest days. Center dent crown and medium short turn up brim is flattering on every face shape. Comfort sweatband.